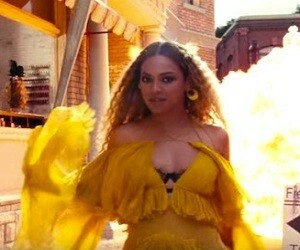 Beyonce’s Lemonade is a visual album, containing home movies of her father, her wedding to Jay Z, her pregnancy and daughter Blue Ivy’s birthday party, and also genre-bending music. The one-hour album, released on April 23, on HBO, is not only a portray of her life and family, but also an ode to black women. The mothers of Trayvon Martin, Mike Brown and Tamir Rice appeared in the video holding pictures of their sons, symbols of the Black Lives Matter movement. Lemonade stars also other artists, such as Jack White, The Weeknd, James Blake, and Kendrick Lamar, who lent their musical talent to the album.